Kathy works with many fast-growing, high-tech businesses in the Denver area and nationwide. 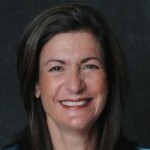 Shortly after graduating from college, Mrs. Dean founded and managed Impact Recruiting, Inc., a successful staffing firm in New York City, where she personally developed and serviced recruiting needs for numerous Fortune 500 companies, such as Philip Morris, Morgan Stanley, American Express, Bear Stearns and Salomon Bros. She remained at Impact Recruiting for 15 years before leaving New York to move to Boulder with her family. Kathy holds a B.A. degree from the State University of New York at Oneonta. It’s been said that “necessity is the mother of invention.” I almost agree. In the case of TeneoTalent, I was a mother who became an inventor out of necessity, when I decided to rejoin the recruiting world in late 2008. What timing! The recession was already taking its toll on talent, employers and recruiters. Candidates were falling into job board “black holes,” and losing confidence during their job search. Employers were tired of paying high fees for passable candidates that weren’t the best fit. Finally, recruiters were having trouble keeping their doors open. Skyrocketing overhead costs, fewer contingency fees, and reduced billings made a once comfortable living nearly impossible. The profession was broken and needed a fix. If I was going to make a living in recruiting again, it was going to require fresh thinking. My challenge became finding a way to blend my passion for recruiting while supporting the need for security for both candidates and employers. TeneoTalent was born. A hybrid recruiting firm and a job board, I designed the company to seamlessly use the best features of both—utilizing technology to advance the hiring process in an original way. I decided to focus on sales, as the profession is always in need of great talent, regardless of economic conditions. Developing a rich candidate pool is the backbone of the model. Rigorous sales assessments, regular webinars and one-on-one coaching provide feedback and support. Understanding employer needs and culture fully improves the on-boarding experience. We formally assess the target workplace, meet personally with every candidate we present, recommend only the best fits and provide career coaches for 90 days after hire to help ensure a smooth transition. Finally, this hybrid model would only work if recruiters were supported and rewarded well for their efforts. A powerful internet-based recruiting platform, low overhead costs, national reach and collaboration with other recruiters around the country…matches the best candidates, employers and recruiting professionals. All while providing the highest commissions in the industry. By successfully matching great sales talent with employers, and providing a platform for recruiting success, everybody wins! Call us the “eHarmony” of sales recruiting.